Project Janszoon is delighted to launch a new conservation education scholarship which will support future environmental leaders from the Nelson / Tasman region. The scholarship will provide former ATYA members with $1,000 towards further learning in the conservation, ecology or leadership fields. One scholarship will be offered annually for the next ten years and former Abel Tasman Youth Ambassadors will be eligible to apply. 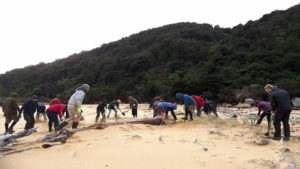 “For a project like Project Janszoon, which aims to transform the ecology of the Abel Tasman over 30 years, it really is the case that today’s youth are the future stewards of the Park. This scholarship will support ATYA members to pursue their development as conservation and community leaders,” says Project Janszoon director Bruce Vander Lee. Currently Motueka High School, Golden Bay High School and Motupipi Primary School are involved in the Adopt a Section and Abel Tasman Youth Ambassadors programmes and there are plans for the programme to be extended to further schools. DOC education ranger Brooke Turner says the scholarship will be a reward for the hard work that students put into the programme. To provide opportunities for former ATYA students to continue building knowledge and skills and further their development as conservation and community leaders. What: $1,000 scholarship offered each year from 2018 (for 10 years). Eligibility: Students who have been an Abel Tasman Youth Ambassador (or previously Student Advisory Board member) at an adopt a section school. Scholarship to go towards further learning linked to conservation, ecology or leadership (e.g. university degree, training such as outward bound/NMIT ranger program). Scholarship must be used in year following application (i.e. apply in 2018, use in 2019). Provide evidence of scholarship use. 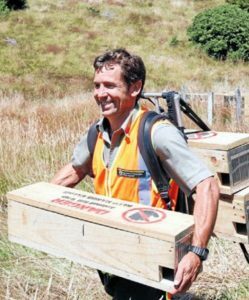 The Abel Tasman Youth Ambassadors and education programme is also supported by Abel Tasman Sea Shuttle which provides transport into the Park for the students.